Looking for a way to unwind, relax and reenergize yourself this year? Go with the flow and give one of these trendy yoga classes a try. 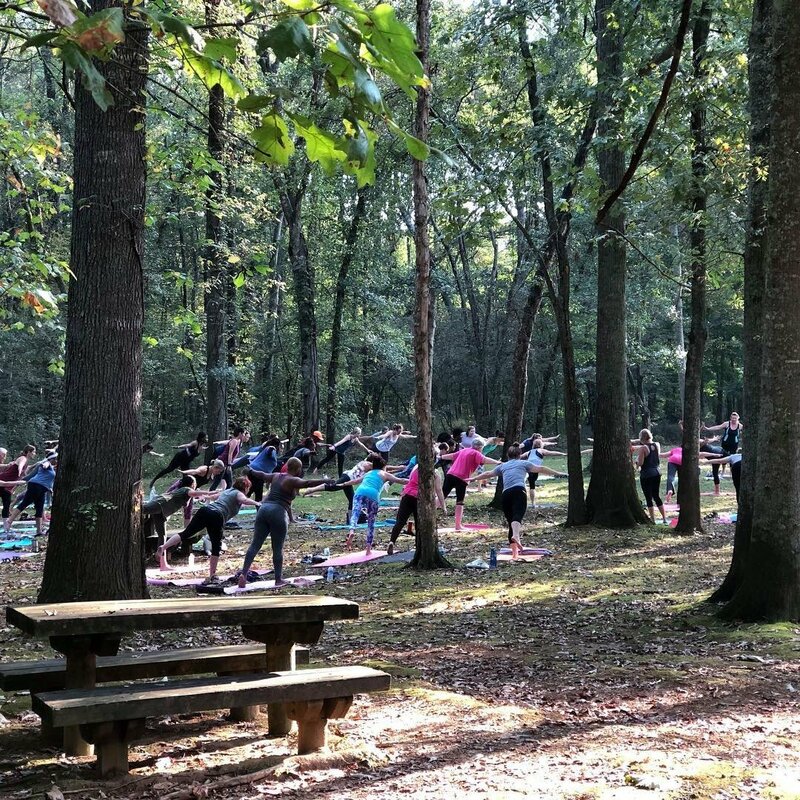 From candlelight yoga to aerial yoga overlooking downtown Huntsville, these sessions are sure to breathe new life into your fitness routine. Namaste, my friends. 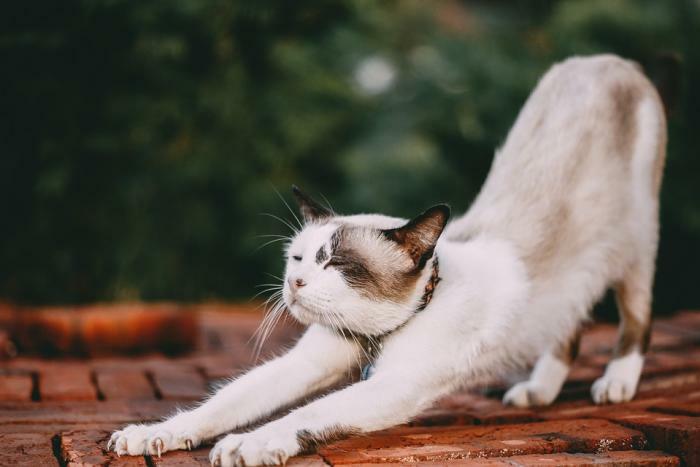 Come spend an hour learning Yoga on May 18th with Kittens from Greater Huntsville Humane Society at OTBX! Tickets are available here. Stay after for lots of petting and there might be some beer available! Yoga by the River is every Saturday in May from 8am - 9am. Plus, there will be two Thursday evening sessions! Join us Thursday May 9 & 23 from 6pm – 7pm. Enjoy a relaxing, yet energizing hour of yoga next to the gently flowing waters of the Flint River in Hays Nature Preserve. All you have to bring is your yoga mat, water and a towel. Signs will direct you where to go once you are in Hays Nature Preserve. Every Sunday in April you can do Yoga in Providence with Maria Brito Fitness! 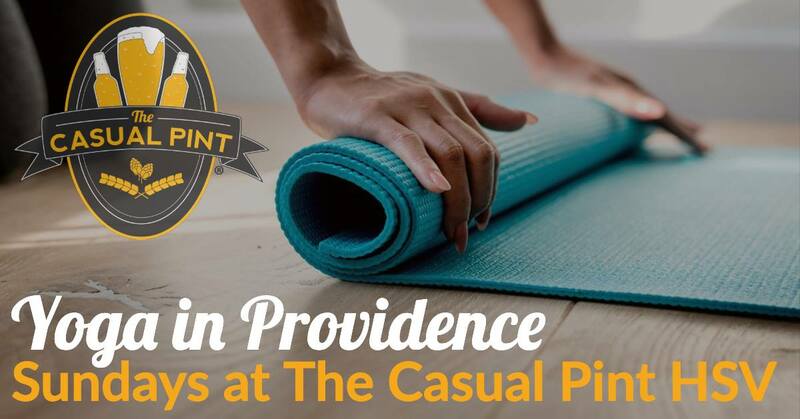 $12 covers your Power Yoga Flow and first pint of beer or glass of wine - pay the day of at The Casual Pint (Huntsville)! Please bring your own mat. Space is limited so arrive early to secure your spot! Picture this: Gentle stretching and quiet meditation from the top of the Light on Yoga Fitness Studio’s Lighthouse. The space is located on the highest floor in Huntsville inside the Old Times Building and offers a 360-degree view of the city’s skyline. Light on Yoga Fitness also offers a series of other exclusive classes, including YogaBarre and Astanga Yoga lessons. Skip Saturday brunch and take in the latest gallery exhibition on the North Floor Gallery of Lowe Mill ARTS & Entertainment and treat yourself to a dynamic one-hour yoga class instead. Led by Casey Bakula of Your Yog. This yoga class encourages students to draw inspiration from the art pieces surrounding them as they find their inner peace through a series of upbeat poses. Mats are not provided. You can register for the 10am class via Square Up. If you’ve never done yoga and you want to give it a go, you can try it for free once a month at Lowe Mill ARTS & Entertainment. Held in studio 120 at 4:30pm. This free Sampoorna yoga session is designed to be gentle and all inclusive to people of all athletic abilities. While the monthly community session is open to the public in Studio 120, the class size is limited to eight students. The result is a wonderfully intimate class experience, and hot tea is served after each class (how perfect, right?). To register for next month’s yoga session, check out their Facebook Event page. Leave it to the folks at Old Town Beer Exchange to combine exercise and local beer. Together with Light on Yoga, OTBX will host a special series of “Asanas and Ales” every Sunday at 11am throughout 2019. The one-hour class is $12, and the fee covers the yoga — and your first beer. Because space is limited to 25 people, it’s recommended to come early to claim your spot.